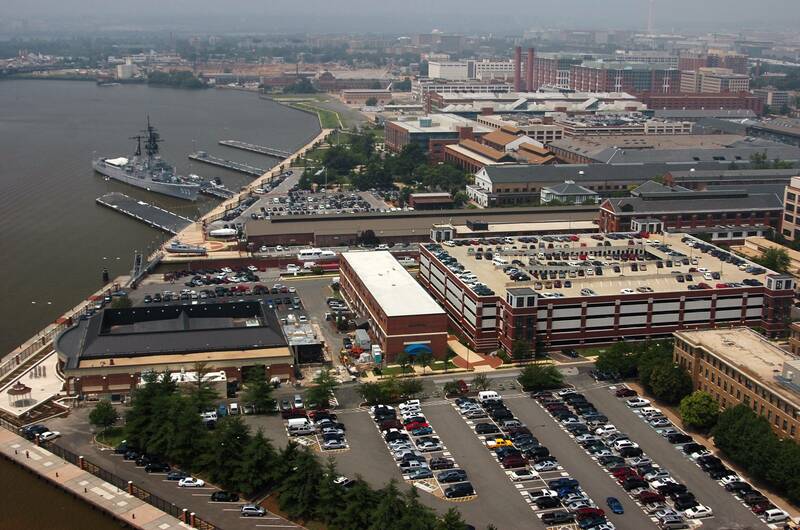 It was a day no one who worked on the Washington Navy Yard will ever forget. Shortly after 8 a.m., on Sept. 16, 2013, Navy contractor Aaron Alexis entered the Naval Sea Systems Command (NAVSEA) headquarters building and killed 12 people while wounding four more - including two police officers. A year later, though much of the NAVSEA workforce is still displaced and many struggle to make sense of the tragic events, Washington Navy Yard employees met to remember the lives of coworkers, friends and loved ones during a short, 8 a.m. ceremony on the base. Attended by more than 2,000 Navy Yard employees, the purposely low-key ceremony featured remarks from both Secretary of the Navy Ray Mabus and Chief of Naval Operations Adm. Jonathan Greenert. "We know now that, although we have healed, our Navy and Marine Corps family will never feel completely whole...that even though we remind ourselves it is impossible, we will never quit thinking, if only for an instant, that those we lost will come to work again and that it will be as if nothing has happened," Mabus said. "But in the midst of these hard, awful truths, we also know that bright, wonderful memories will be with us and sustain us always. We know that their lives are defined, not for how they died, but for how they lived and will be remembered always." Though the event was designed to memorialize the tragedy, each of the speakers highlighted how much the command has achieved in the wake of the shooting. 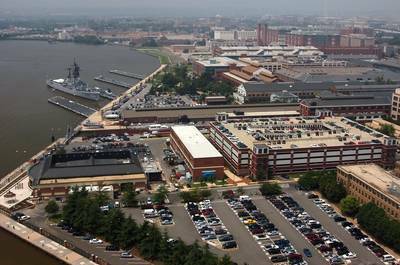 NAVSEA, responsible for designing, building and maintaining the Navy fleet, was able to almost immediately reconstitute the majority of its workforce in satellite offices around the metro area - many were back to work the day after the shooting. In the immediate aftermath of the shooting, the command awarded $1.6 billion worth of contracts, delivered a littoral combat ship, christened a submarine and aircraft carrier, and provided oversight to all of the Navy's new ship construction and maintenance programs. "As we come together during events like this, we remember our lost shipmates and their families. We also rededicate ourselves to our mission, a mission they fully supported, and do our best for our nation," said Vice Adm. Willy Hilarides, NAVSEA Commander. "We mark today as a day of remembrance and a day of inspiration. Remember the shipmates we lost, they're with us every day as we continue to move forward." The command continues to conduct its mission despite being displaced from its headquarters. The building - now officially renamed the Joshua Humphreys Building in honor of the Navy's first naval architect - is undergoing a 16-month, $44 million renovation designed to repair damage and give returning employees a new sense of place. The renovation will also allow the Navy to incorporate an area memorializing the fallen. Employees will begin returning to the building in February.